Even if you know someone who has lost weight while intermittent fasting, you might be skeptical. After all, you’ve always been told that the formula for weight loss is calories in, calories out — so how can a plan that doesn’t require counting calories, at least not in the traditional sense, actually work? The answer is relatively simple: fasting is thought to shift hormone levels so your body can more easily access stored fat. But there’s more than one method for doing this and a few common mistakes that can throw you off track. Here’s how to make sure your efforts are rewarded. 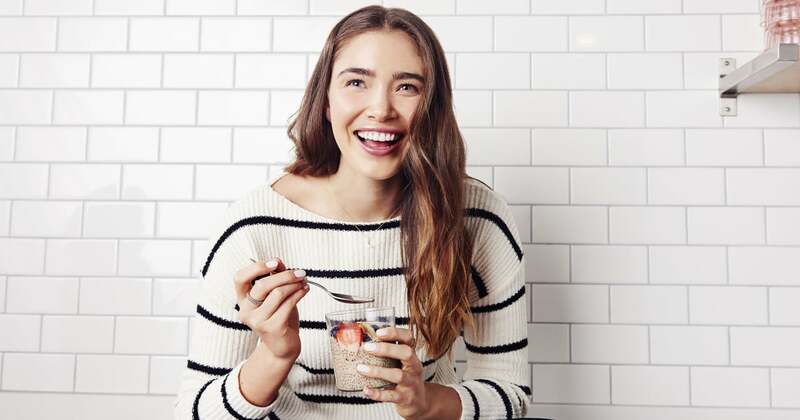 As with most diets, results hinge on a number of factors, Monica Auslander Moreno, MS, RD, LDN, nutrition consultant for RSP Nutrition, told POPSUGAR. There are two main types of IF: alternate-day fasting, in which you consume no more than 500 calories for at least two days each week (never consecutively), and time-restricted IF, in which you fast for, say, 12 or 16 hours each day and eat only during the remaining window. The best method is the one you’ll practice most consistently. “If someone is more likely to mindlessly snack at night, then setting a ‘cutoff’ time for food will restrict intake, and weight loss will likely occur,” Monica said. Likewise, “some people actually are nauseous in the morning, so skipping breakfast may be welcome for them,” she explained, while others may risk overeating later in the day in an attempt to make up for the meal they lost. Figuring out which times of day you’re most hungry — and when you can go without — can help you choose the plan that’s right for you. That said, alternate-day fasting also has a higher dropout rate than other low-calorie diets, according to research published in JAMA Internal Medicine. Time-restricted IF, on the other hand, may feel less grueling to follow than a low-calorie diet. 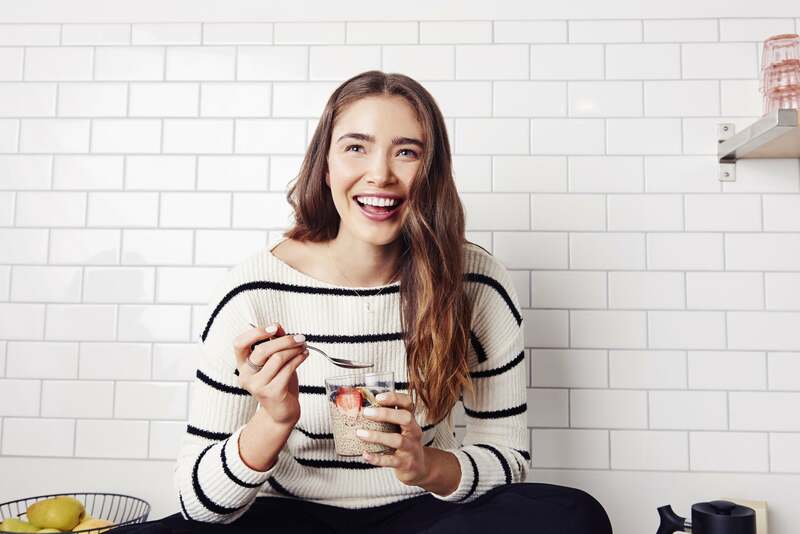 So, if you’ve had a difficult time with conventional dieting, simply narrowing that window may be more effective for you, Megan Casper, MS, RDN, a dietitian and owner of Nourished Bite Nutrition in New York City, told POPSUGAR. Though more long-term studies need to be conducted, Megan also noted that IF has benefits aside from weight loss, including lower blood pressure, improving metabolism, and reducing inflammation. Unlike traditional diets, IF doesn’t place limits on calories or eliminate any one type of food from your plate. While this is freeing, it can also get you into trouble. If you eat only poor quality foods during that window (no matter how short it is), it’s unlikely you’ll lose weight or reap any of the other health benefits associated with IF. Both Megan and Monica noted that two common pitfalls of IF are extreme hunger and fatigue, which can cause you to focus more on when you can eat than what you should eat. This can result in eating empty calories and junk food over healthy, filling options. It’s important to make good choices during the day, while also thinking critically about how IF will affect other aspects of your life, from your social life to your exercise routine, and even your sleep, Monica explained. The good news is, if you can make it work for you, IF may be a safer bet, even in the long-term. Research shows that it may result in less muscle mass lost than conventional diets, and muscle is essential for your metabolism. “Going on a low-calorie diet, whether it be a fast or [other type of] diet, causes you to first lose muscle and water weight,” Megan said. “People typically think this means the diet is working, but once they go back to their normal diets, their metabolism has slowed down, and they usually gain the weight back and then some.” So, sticking with IF could mean you lose weight more steadily and keep it off.